Much attention has been given to the economics of everyday life, which typically applies economic principles to the analysis of the different choices that people face under different situations. Yet there are hardly any books on the economics of life—an economics that takes the finite lifespan as the starting point and that looks at how one can maximize the subjective value from life given the constraint of the limited lifespan. 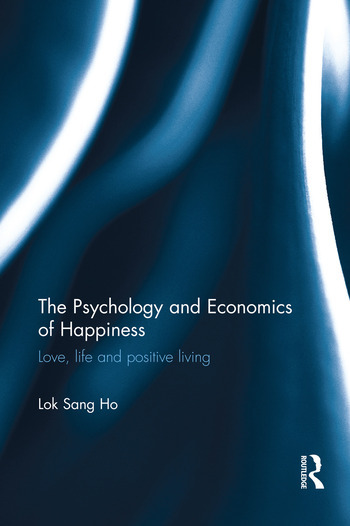 In this volume, Lok Sang Ho suggests that the lack of progress in happiness among developed countries despite significant economic growth is due to a deficit of "mental goods", rather than a lack of material goods. The author stresses the role of culture and mental habits in determining the efficacy of gaining mental goods which includes love, a sense of security and autonomy, contentment, self-esteem, self-acceptance, and freedom from anxiety. Drawing on empirical research, the book explores how to invest, work, and consume from a whole life perspective, arguing that every action - consumption, investment, or work - should enhance the total quality of life. This overriding concern about life itself is known as love. The Psychology and Economics of Happiness uses the analytical framework of economists on a subject studied by positive psychologists, drawing both from empirical evidence and from psychological literature. It will be of interest to researchers and academics interested in economic and positive psychology, as well as those from related fields keen to learn more about living fuller, happier lives. Lok Sang Ho is Professor and Head of the Department of Economics and Director of the Centre for Public Policy Studies at Lingnan University, Hong Kong.